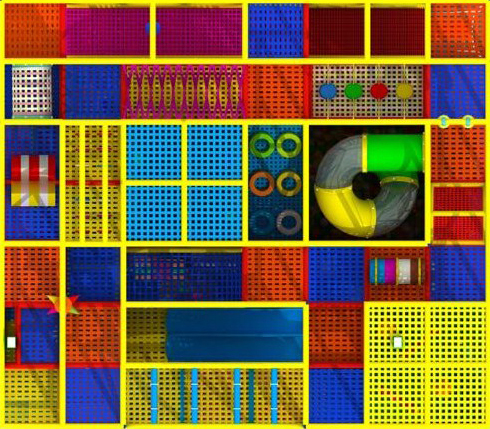 Epic Play Zone’s latest attraction is GTA’s first tensioned web playground. 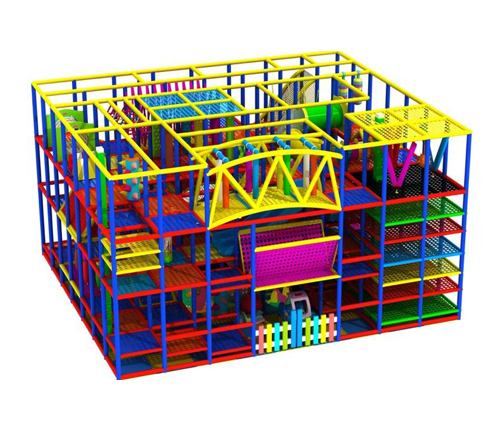 Our web playground is built with distinctive woven web floors out of web strapping, similar to seat belt material. Web floors produce a soft, impact-absorbing surface that’s easy on feet and knees. 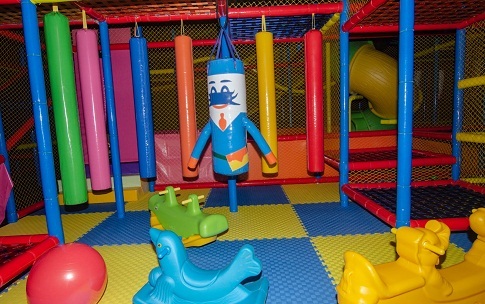 Many indoor playgrounds call their product “Soft". Look over our playgrounds, and theirs, then decide for yourself who’s playground is “Soft"! Every surface that a child can impact is either padded or designed to be impact absorbing. 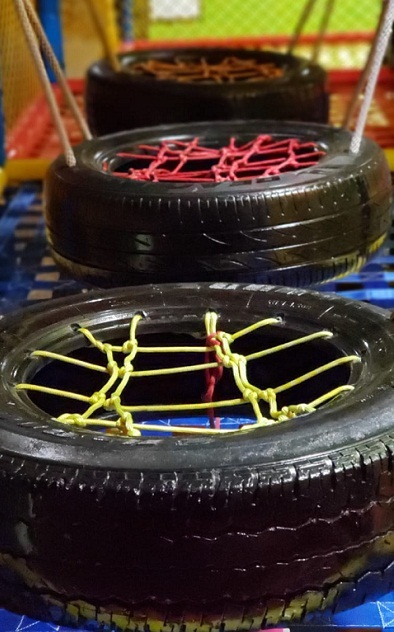 Our Tensioned Web Flooring System is so impact absorbing that you can drop an egg from over 20′ and it will bounce when it hits the webbing of our floors. Children are never made to crawl through hard plastic tubes so there is no need for kneepads in our playground. 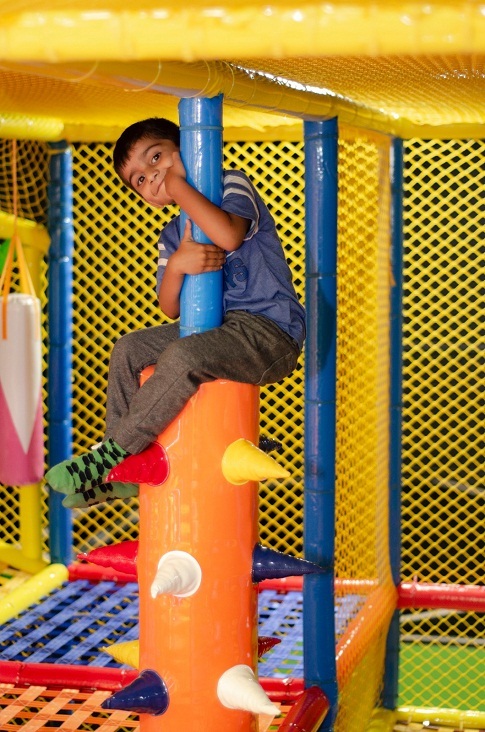 Kids can bounce, jump, climb, slide and play as they explore the playground maze. 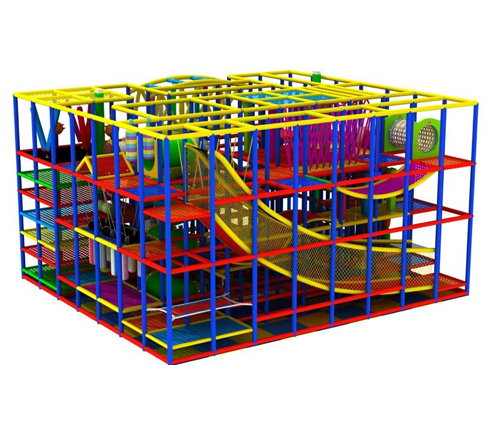 Our tensioned web playground is great for children from as young as 1 and older and even adults are able to join their children in the play structure. 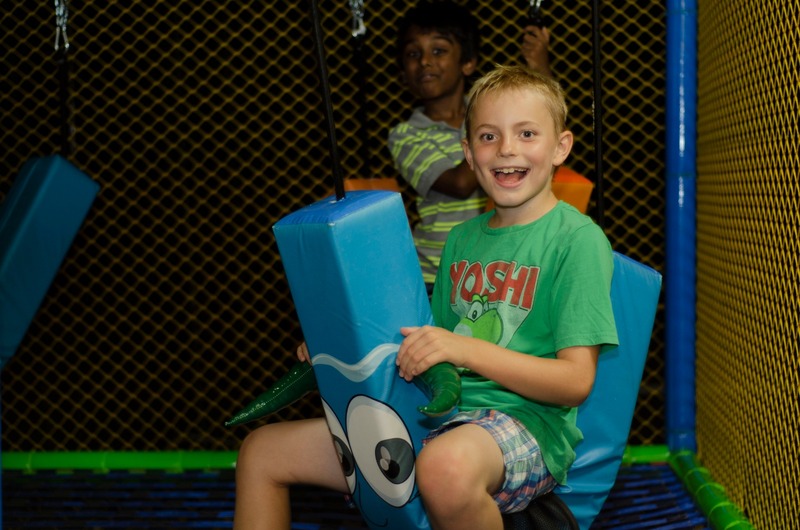 Our Play area utilizes truly interactive events. 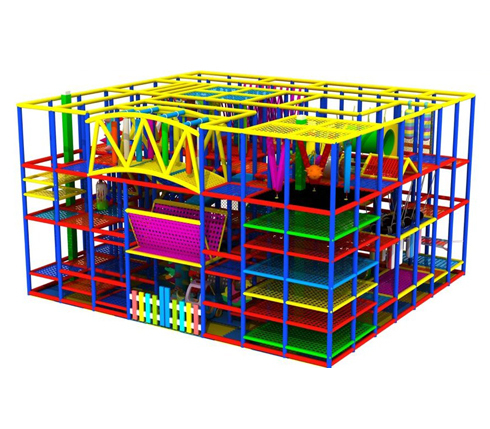 These events incorporate things that children naturally want to do over and over again. 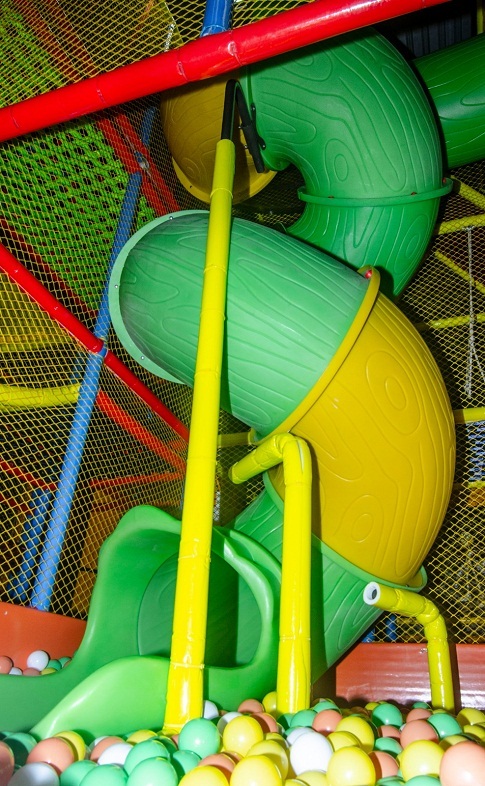 Rather than just providing a “maze" for the children to traverse. 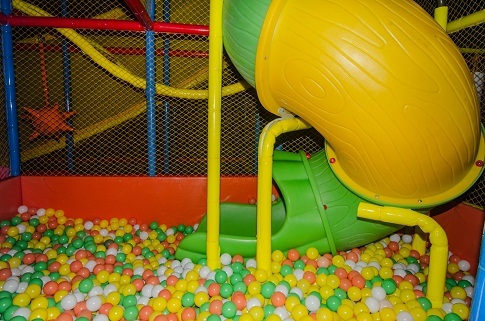 These events motivate the children to stop and interact with each other, as well as with the equipment. 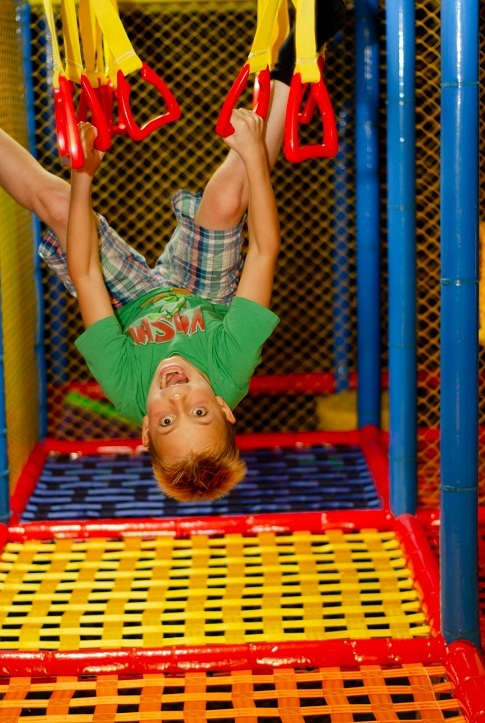 *Socks are Mandatory to enter the play area . Socks are available at $ 2:00 per pair.